Rory was very pretty and elegant, but substantial to get the job done. She had an elegant, brick on brick head, nice neck and layback of shoulder, moderate front and rear angulation. Rory had a great attitude and was always a team player. 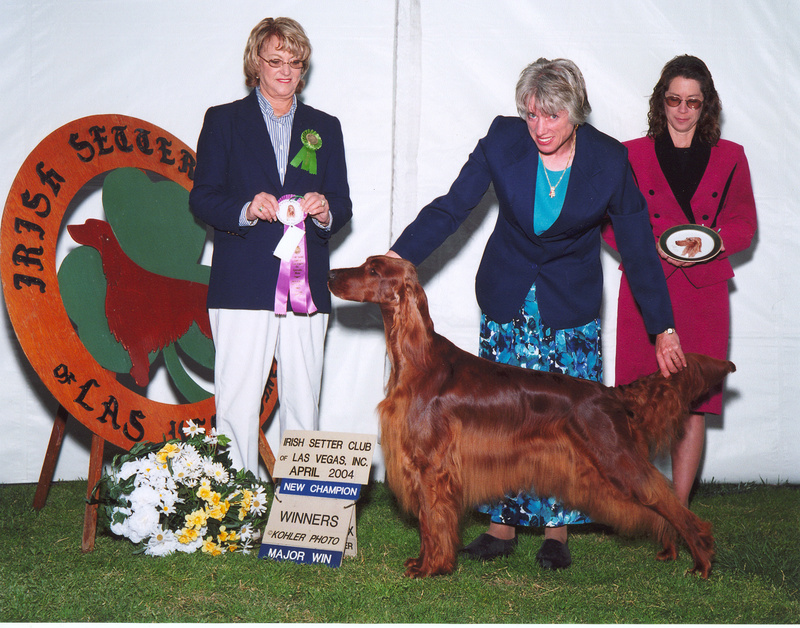 Rory finished her Conformation Championshipat the Irish Setter Club of Las Vegas Specialty Show. Rory also competed in AKC Field Trials and earned several points from Senior Field Trial Stakes. Rory was also in an ad for Ralph Lauren.